I am a huge fan of Swans Flour baking products. 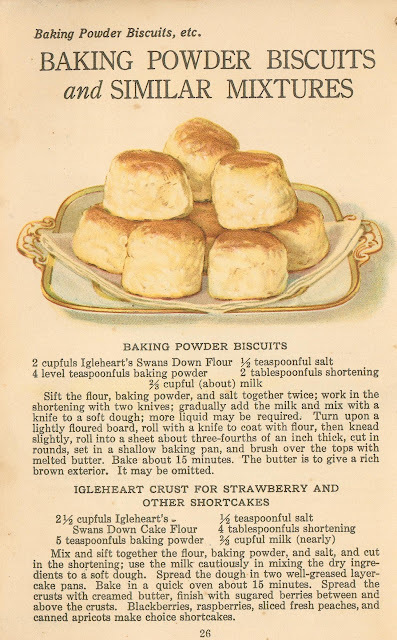 I had picked up one of their vintage recipe booklets, years ago at a flea market. And have used it over and over. You just can't go wrong using their flour or their recipes. Is there anything better than a fresh baked biscuit!?! Now I do use my pastry cutter to blend the shortening into the dry mixture. (flour, baking powder, salt) But these are super easy to make. And they always turn out a nice crunchy on the outside and fluffy on the inside, biscuit. 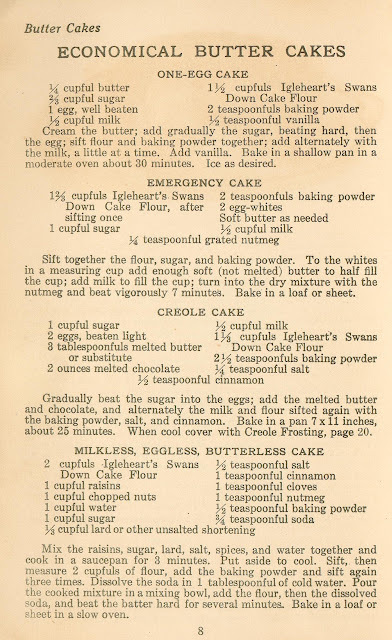 I am including this page for quick cakes. I am intrigued by that milkless, eggless and butterless cake. The only hang up I have with it... is the raisins. I do not like raisins, that have been cooked. I love then straight from the box, as a snack. But detest them cooked. 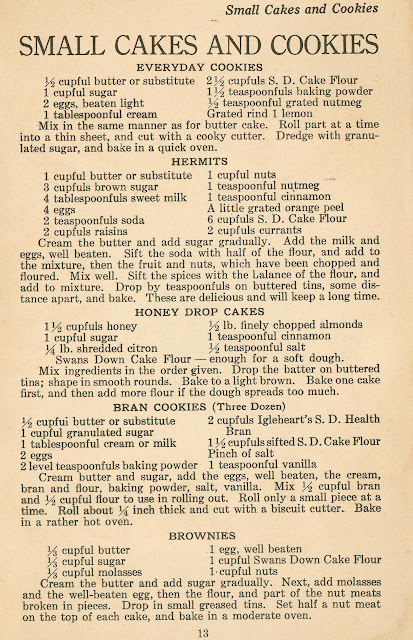 Now this brownie recipe has molasses included in the ingredients. I had purchase a jar of molasses for a cookie recipe. Was looking for something else to bake, to use it in. (Before it just got old and hard.) These were quick to make. And made a really great brownie. I did cooked them at 350 degree's. There were no actual temperatures given in this cook book. Just hints about how hot the stove needed to be. So I placed this booklet prior to 1940 for that reason alone. Somewhere I came across what temperatures a Hot, Moderate, and Low oven should be. I should of copies it. But I imagine that moderate would be 350 degrees. I am like you when it comes to SwansDown. 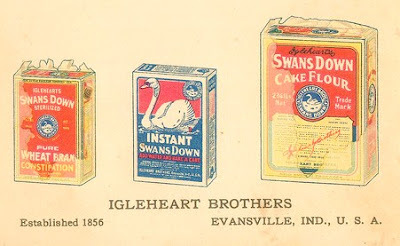 In fact, my love for vintage cookbooks started with a SwansDown cookbooklet. Have you noticed that SwansDown isn't easy to come by now? Is it just in my area?